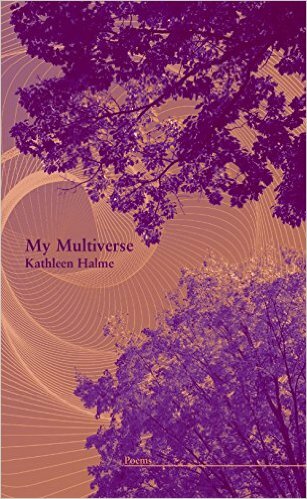 Kathleen Halme’s My Multiverse opens with a marvelous set-piece, a multi-part cycle (that comprises the entirety of the first section of the six-sectioned book) titled “City of Roses” that begins with that tender invitational, “Dear,” and from there pans its camera over the big and small, visiting with different characters and embracing the ambience of different scenes all within the same city, Halme’s own Portland, Oregon. It’s a gesture in line with the great urban works, likeUlysses, which endeavor to sketch the cultural, emotional, and physical anatomy of a city: “Blocks and blocks of ornate iron-front buildings. / Shanghai traps and tunnels. / Iron horse rings to which someone / has hitched tiny plastic palominos.”. . .